L-R Gunther Krauter, Austrian Ombudsman; Emily O’Reilly, European Ombudsman; Marie Anderson, Northern Ireland Public Services Ombudsman and Les Allamby, Chief Commissioner Northern Ireland Human Rights Commission at the international conference ‘Human Rights – A 21st Century Approach to the Work of Ombudsmen’ at the Stormont Hotel. Ombudsmen and Human Rights Commissioners from around the World are in Belfast today (Thursday 26th May) to attend the opening of a two-day Conference being jointly hosted by the Office of the Northern Ireland Public Services Ombudsman (NISPO) and the Northern Ireland Human Rights Commission (NIHRC). The Conference ‘Human Rights – A 21st Century Approach to the Work of Ombudsmen’ is being supported by the International Ombudsman Institute (IOI), to facilitate the international sharing of the outcomes and learning from a ground breaking project by the two local bodies. The project, to develop a step-by-step manual for the clear application of the rights of the individual in the complaint investigative process, has taken the NIPSO and NIHRC three years to complete. The manual has recently been endorsed by the UN High Commissioner on Human rights Prince Zeid. The significance of the local project for international Ombudsmen and National Human Rights Institutions is reflected in the high calibre of individuals attending the Conference. Contributors and delegates include the Ombudsmen for Europe, Austria, Botswana, Gibraltar, Mauritius, Samoa, South Africa, Victoria in Canada, England, Scotland, Wales and Republic of Ireland and Human Rights Commissioners from Belize, Sierra Leone, the Maldives, Kenya, Mozambique and Scotland. Regulatory and advocacy bodies, academics, legal practitioners and those involved in the delivery of frontline public services locally are also well represented. 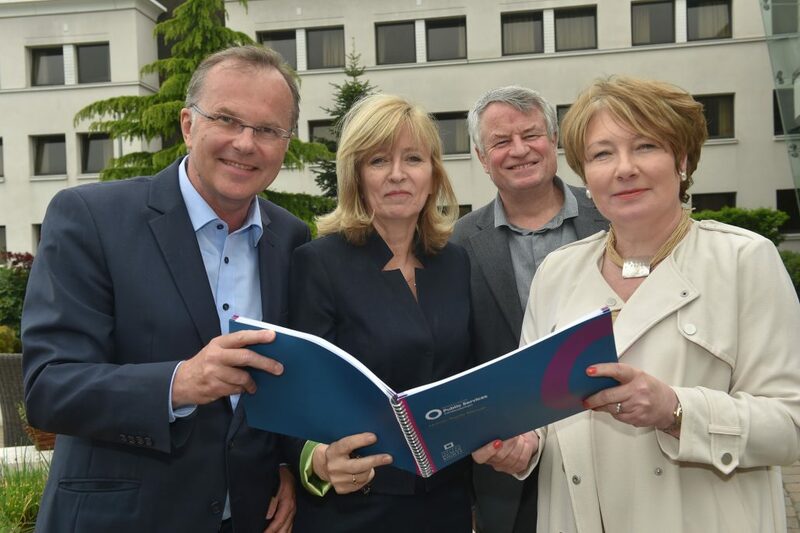 “The need for the development of a Human Rights centred manual to appropriately guide Ombudsmen and Complaint Investigators in their sensitive work, arose as a result of a marked increase in the volume of complaints coming before the Northern Ireland Ombudsman which raised Human Rights issues in areas such as health and education. Three years and a lot of hard work later, this week’s Conference positions Northern Ireland at the forefront of knowledge sharing and collaboration in the world of Ombudsmen and Human Rights advocates”. The Conference ‘Human Rights – A 21st Century Approach to the Work of Ombudsmen’ is taking place at the Stormont Hotel, Belfast today, Thursday 26th and tomorrow Friday 26th May 2016.